I am loving the Black Owned Makeup Brands tag! Whoever invented it is a genius! With the introduction of new indie makeup companies on the rise, why not give special kudos to B.O.M.B! I dug around in my makeup stash to see if I could find B.O.M.B in my collection and sure enough I found a few, not as much as I would like but will definitely be working on that in the future. Owned by Kama Maharaj who launched Sacha Cosmetics near 37 years ago! Sacha Cosmetics boomed with the introduction of baking on YouTube. Many of us (PoC) found Ben Nye’s Banana Powder unsuitable for our skin tone but Sacha came through with warm Buttercup which many of us loved and still do! Sacha Cosmetics sell more than just setting powders, with a vast array of lipsticks, blushers, eyeshadows, foundations and more, all suitable for PoC, you can really go to town with exploring more of their brand. 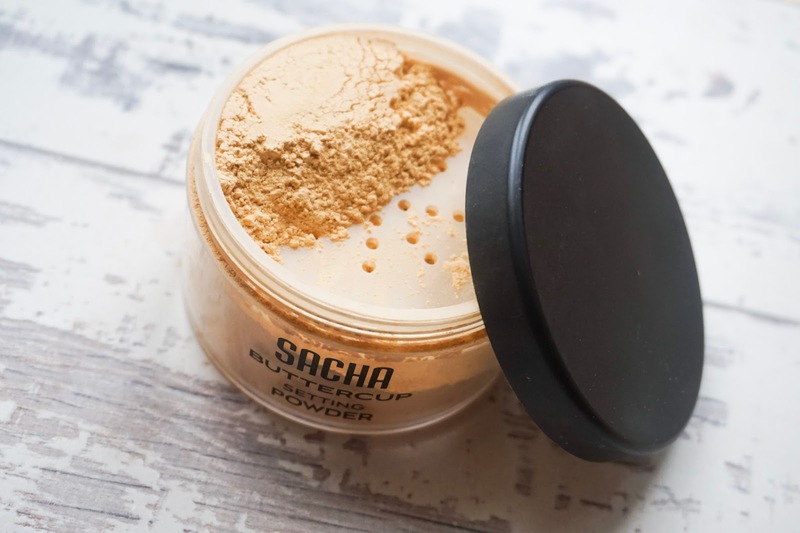 I’ve compiled a review of the banana powders in my collection including Sacha Buttercup, you can read more HERE. Who doesn’t know about IMAN Cosmetics? Created in 1994 by the most stunning creature known to man and supermodel – Iman. Iman, being a model, encountered the issues PoC face when it comes to beauty and decided to do something about it and with that IMAN Cosmetics was born. A makeup line solely for PoC! When you look at the shades of lipstick IMAN Cosmetics sell you really can tell they have PoC in mine constantly! 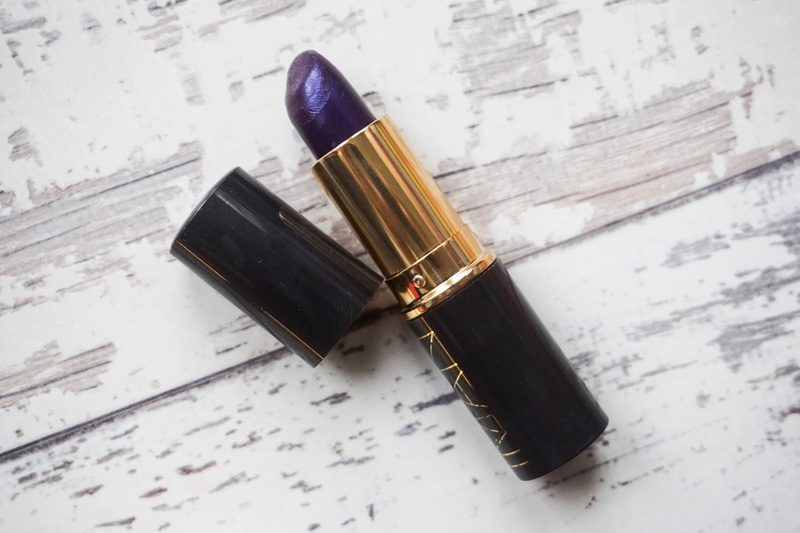 The IMAN Luxury Moisturizing lipstick in Taboo is a WINNER for any skin tone but specifically deeper skin tones, this gorgeous metallic eggplant purple was just made for cocoa skin, check out Jo from Patent Purple Life using Taboo HERE. Created in 1973 by the late Eunice W Johnson, Fashion Fair was a means for women of colour to shop freely for makeup without the hassle of mixing products for the perfect shade. A place where WoC could shop with ease from makeup that had them in mind. Now Fashion Fair is probably one of the only brands I know of that is available practically worldwide and is specifically aimed at PoC. 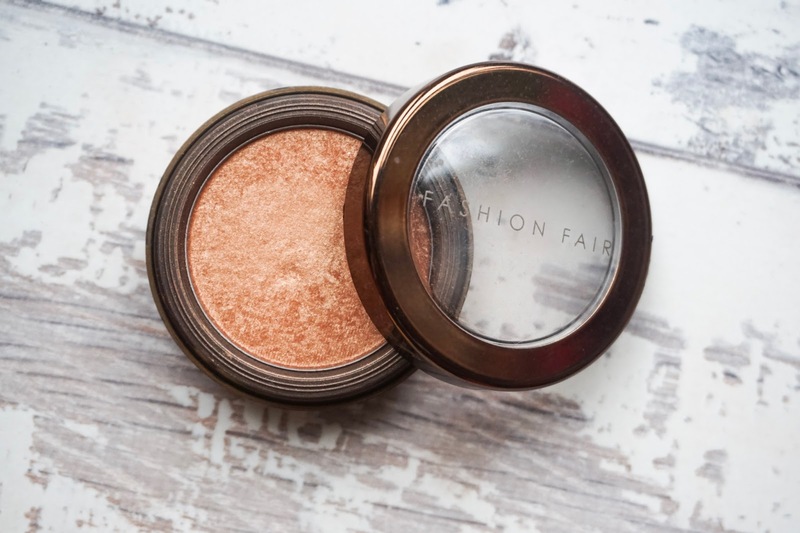 My favourite product from Fashion Fair has to be their Beauty Highlighter in Golden Lights – it is so PERFECT, I love it! Warm enough for deep skin tones whilst giving you that natural glow for within. Makeup Addiction, as some may not know, is actually a UK based brand, created and run by Djimbi Djevdet. Boasting over 1 MILLION followers on Instagram this brand isn’t doing too badly at all! I initially found out about MADD (Makeup Addiction) from YouTube and decided then and there to order a palette from them and guys, guysss, this palette has become one of my absolute favourites! 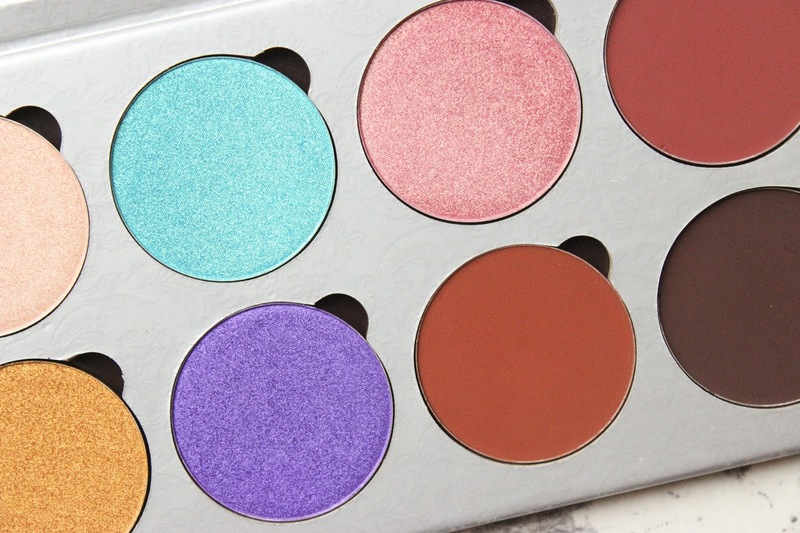 If you haven’t seen my swatches and brief review on the Flaming Love palette, click HERE. If palettes ain’t your thing, don’t even worry! MADD are best known for their brushes and brush collections but you can also pick up pigments, lashes and highlighters! I would really recommend trying them out, I fell head over heels for their Flaming Love palette and I have my eye on their highlighting palette Holy Glow Vol 2, check out these swatches to see why! Gold Label is a relatively new discovery for me. I discovered them after watching a YouTube video and decided to make an order. 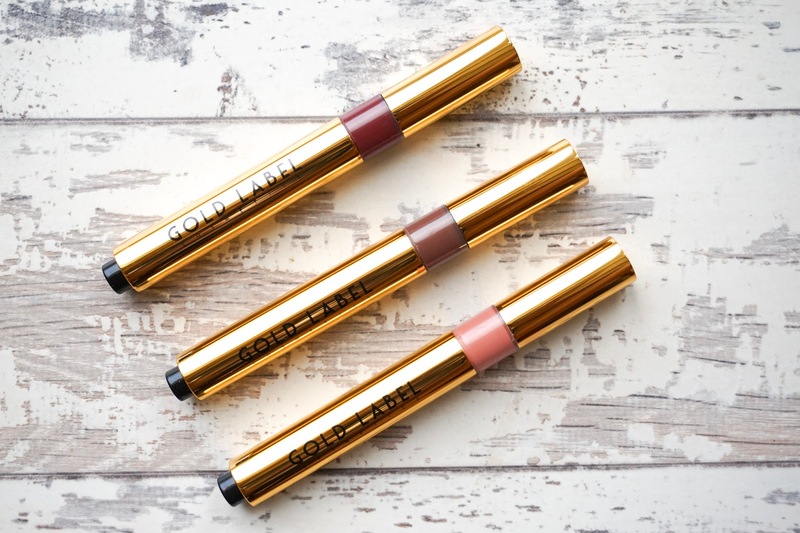 Set up and run by MUA Kristen Brown, Gold Label sell lipsticks (stick and liquid form) aimed at the modern day woman. What really sold me on Gold Label (besides the fact that it’s an independent brand) were the shades they produced. All shades look PoC friendly which is a big deal for me! Product wise, the liquid matte lip pens are something else! These things are LONG WEARING, you need elbow grease to remove them (review coming soon), they are also super lightweight as well which is a bonus! One thing I also like about Gold Label is their customer service – it’s almost a personal shopping experience which is something I really appreciate. They value their customers which in turn makes you feel a lil bit warm and fuzzy on the inside! Another new brand to come to my attention but I’m already sold! Created by Senegalese born Swedish makeup artist Diarry Beaute to specifically cater to deeper skin tones in the makeup game. 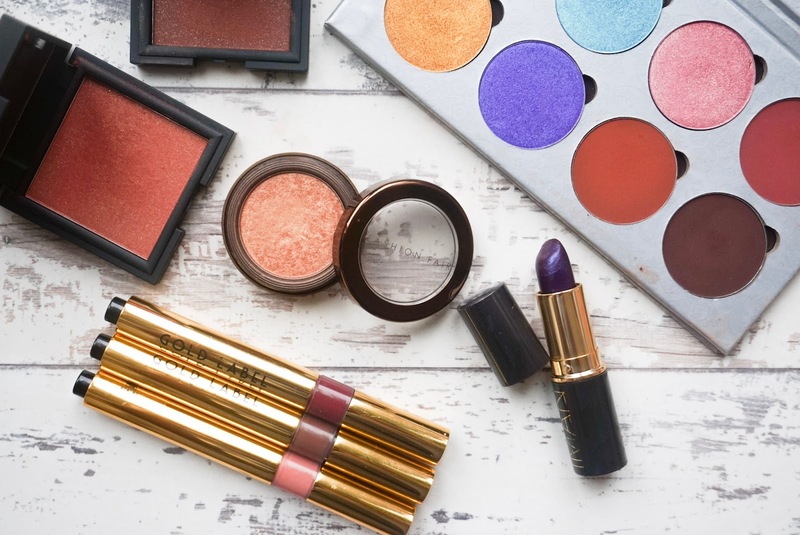 Marena Beaute offers foundations, powders and blushers for WoC, a small selection compared to some but the focus on these three types of products means Marena Beaute really excel in quality and pigmentation. I was sent two of their blushers and I have been IN LOVE with them! 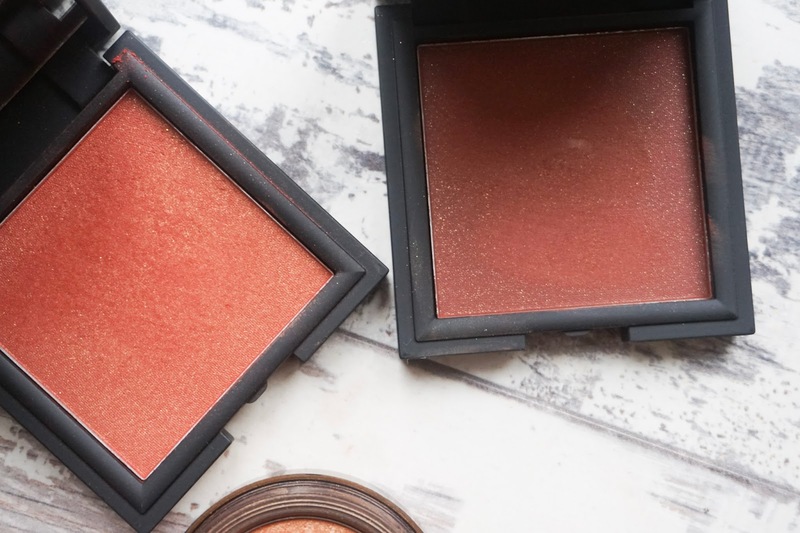 The blushers are sold in only 6 shades but these are 6 shades that work PERFECTLY for PoC. I could go on for days about my love for their blushers but I’ll save that for another post! Social media led me to Coloured Raine one summer 3 years ago and I put in an order – quick! 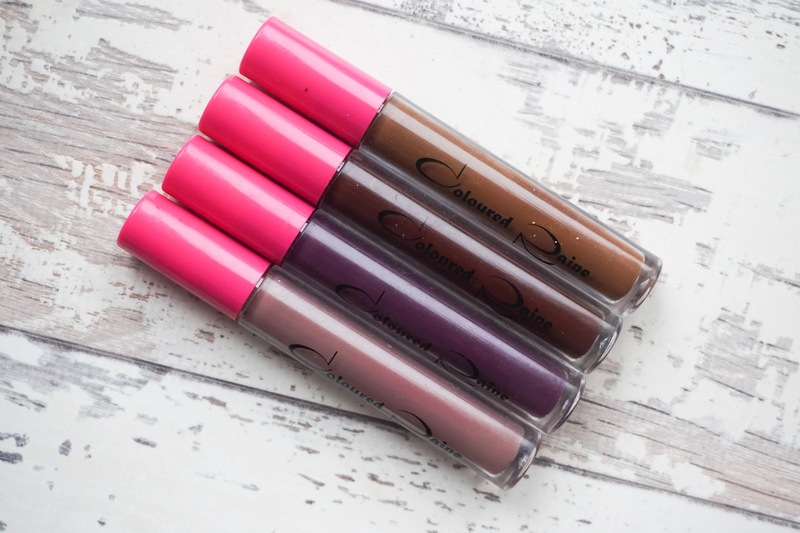 Since then, Loraine, the owner, has revamped the site and products and now Coloured Raine sell divine liquid matte lipsticks, eye shadows, lip glosses, eye lashes and nail varnishes. I’ve added a few of their matte lip paints to my collection but funnily enough managed to misplace my absolute favourite one for this post which is Cherry Blossom – the PERFECT red! Thankfully Coloured Raine is now stocked at Beauty Bay so you don’t even need to worry about those pesky custom charges or the slow USPS tracking page! And that’s my short but sweet list of B.O.M.B that I have purchased items from! Any more recommendations please leave them down below! I've seen a lot of women with red undertones use Buttercup but some of them also like Topaz which is a bit warmer but I find baking can make my undereye area try to. Perhaps instead of baking with a large amount of powder try applying and sweeping off after around half a minute. I tend to avoid baking myself now, I just set. Thank you i will try !!!! I tried MDM Flow but since I didn't purchase I couldn't include it, I love their unique shades and pigmentation is impressive!!! I would definitely recommend MADD! I think you'll love them!